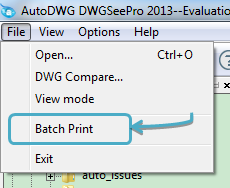 How if you have more than one drawing files to be printed? Open up one of them and press print button, wait it finished printing and then go to one another? This may take half a day if you need to print many files. 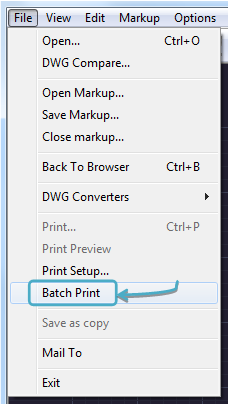 Now you can take advantages of DWGSee batch printing to finish this task in few minutes, simply browse and select all files to be printed, and then choose to print all layouts, with or without model space, then press print button to send all of them to printer. 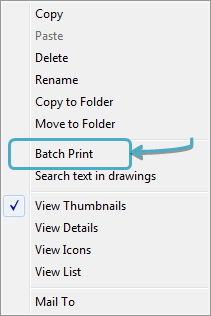 Go to “File” > “Batch Print”. 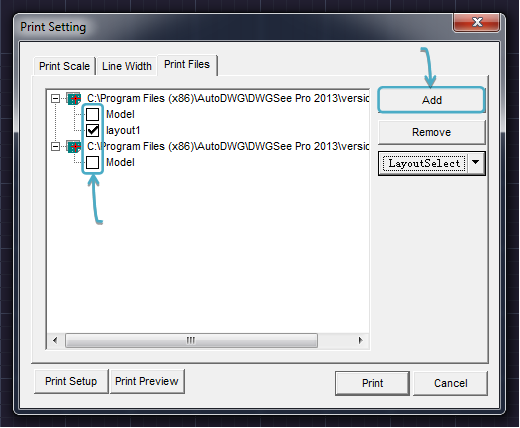 Note: You may also use the “Layout Select” button to choose “Paper Space”, “Model Space” or “All Layouts” in one go. Note: You may still set the number of copies, print in black and white, etc. in the other two tabs “Print Scale” and “Line Width”.